What Is PN In HDPE Pipes? The HDPE Pipe is more and more widely used in various places. In the process of using HDPE pipes, one important point that can not be ignored is its load-bearing capacity. According to different load-bearing capacity of HDPE pipes and different needs of different places, HDPE pipe is used in different places. PN refers to the nominal pressure of the HDPE/PP Profiled Pipe. The nominal pressure refers to the working pressure of Winded Profile Pipes water conveying at the secondary temperature (20℃). 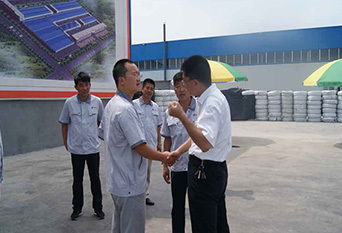 If the water temperature is between 25℃ and 45℃ degrees Celsius, the working pressure should be corrected according to different temperature drop coefficients. Nominal pressure PN is a numerically expressed pressure-related symbol, which is a convenient circular integer for reference. 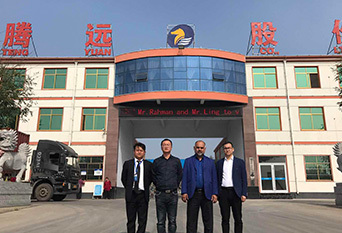 All HDPE Spiral Profile Pipe accessories of the same nominal diameter expressed by the same nominal pressure PN value have the same connection size corresponding to the end connection type. After the completion of HDPE pipes construction, pressure test should be carried out. It means that the pressure should reach 0.6 MPa and 0.6 MPa is approximately equal to 6 kg/square centimeter. Generally, the experimental pressure is higher than the working pressure. pn6 is 0.6 MPa. The meaning of PN is just like what the article said. In short, it is nominal pressure. Understanding PN is very helpful to use HDPE pipes. 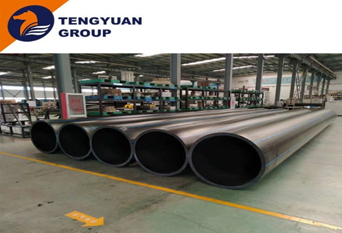 Tengyuan is a China manufacturer of Large Diameter HDPE Water Supply Pipe. We have a high-tech work shop. We have a complete quality management system. Choose us, you can be get most careful and thoughtful service! Previous What Can Be Applied To HDPE Corrugated Pipe?